Download Phison PS2251-37 format tools that can repair and update flash drive firmware .Phison PS2251-37 recovery tools can reformat corrupted Phison controller and update it's firmware . 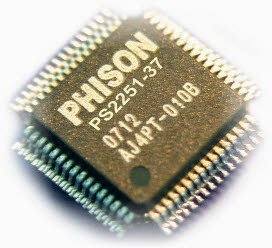 Phison PS2251-37 format tool is designed to repair and update flash drive firmware that have the following chip controller "Phison PS2251-37 ,Phison PS2237 and Phison UP15 ".If you have corrupted Phison Flash drive with Chip vendor PS2251-37 , you can use this software to repair your flash disk . How to repair Phison PS2251-37 controller ? Download Phison PS2251-37 reformat tools from download links below . Insert corrupted Phison PS2251-37 usb flash drive to your computer . There are five format software with different versions , all this software will help you to format and fix your flash drive so please use one by one until fix your flash drive .